...[A]fter all I do only want to advise you to keep growing quietly and seriously throughout your whole development; you cannot disturb it more rudely than by looking outward and expecting from outside replies to questions that only your inmost feeling in your most hushed hour can perhaps answer. Rilke warns us against the dangers of seeking approval and direction solely from outside influences. Paramount in his writing is the notion that purpose and happiness are not destinations to which we can arrive by following instructions, but rather processes (frameworks, filters) through which we can build meaningful and joyful lives. For Rilke, the emphasis is to “keep growing” rather than to arrive at a fully formed self. Additionally, it is within the “hushed hour” of reflection that “answers” and clarity can emerge. In the cacophony of modern noises- schedules, alarms, phone notifications, social media, banner ads and FOMO- it is hard to block out the milieux of social chatter to find the hushed hour and room for growth that Rilke suggests. Amidst the noise, we find ourselves unsure how to derive more purpose and meaning in our own lives, often looking to outside sources to inform our own values. We tend to look to goals and values imposed upon- or suggested to- us. Without understanding our own values, our inner-compass is often muted and making decisions can become altogether stressful or painful. What many of us need, is a hushed hour. Luminary was founded by Cara Maiolo, a Licensed Professional Counselor, and Amber Valenti-Armstrong, a PA and Functional Medicine Practitioner, yoga instructor and wellness educator. Both Cara and Amber draw from leadership backgrounds to provide a unique space for women in an Age of Information and distraction. “We wanted to create a resource for women to create wellbeing in all of the interrelated areas of their lives, reconnect with their deeper selves, and make the shifts they longed to make,” Amber tells us. Advances accompanying the Industrial Revolution and the Information Age have not reduced the presence of mental health issues. In some ways, it has exaggerated it. We are more disconnected than ever from tribal communities, meaningful human interaction and even proper nutrition, due to modern methods of food processing. So it’s no surprise that modern stressors are causing acute depression and anxiety in many people. Existentially, there is a feeling of dissatisfaction that periodically pokes through in what otherwise looks like a high quality of life. According to the NIMH, Anxiety disorders are the most common mental illness in the U.S., affecting 40 million adults in the United States. That’s close to 18.1% of the population. In 2015, around 16.1 million adults had reportedly experienced at least one major depressive episode in the last year. Co-Founder Amber Valenti-Armstrong has experience in family medicine and as an emergency room provider, managing a private practice, and has led a an all-female National Geographic supported expedition down one of the longest free flowing rivers, the Amur, from the remote Mongolian headwaters to a massive delta in Russia where it meets the Pacific Ocean. 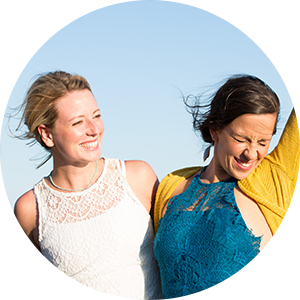 With no shortage of leadership experience, both founders provide a unique approach to their retreats and the women with whom they work. 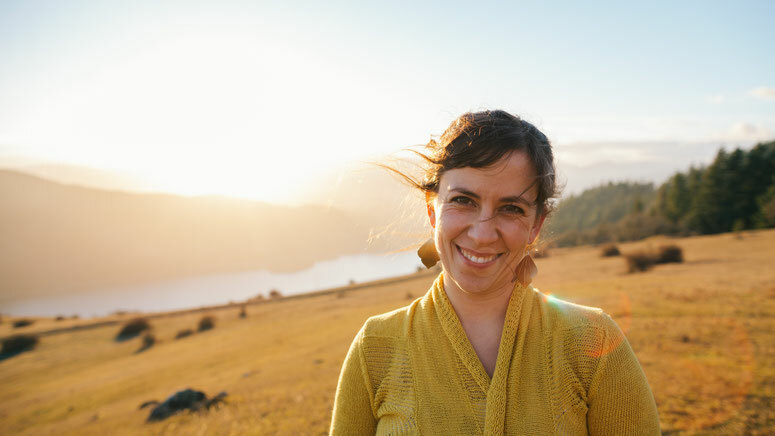 To learn more about their approach to integrative health, Be Luminary Retreats, leadership and wellness, we sought out Amber for an exclusive interview. In ways only Amber can depict, this interview reflects on value integration, creative living, the problematic language in the mental health arena, therapeutic models and the books and podcasts that keep her inspired. "I feel grateful that I had just enough courage to start asking for help. Then, the mentors showed up, and I had really, really lovely people help me grow. I think that's a lot of my current desire to be in integrated medicine, and my desire to do things like a Luminary Retreat, is knowing how much joy, and how much sweetness, and how many beautiful experiences are on the other side of the stuff that makes us uncomfortable, if we're just willing to lean into it." 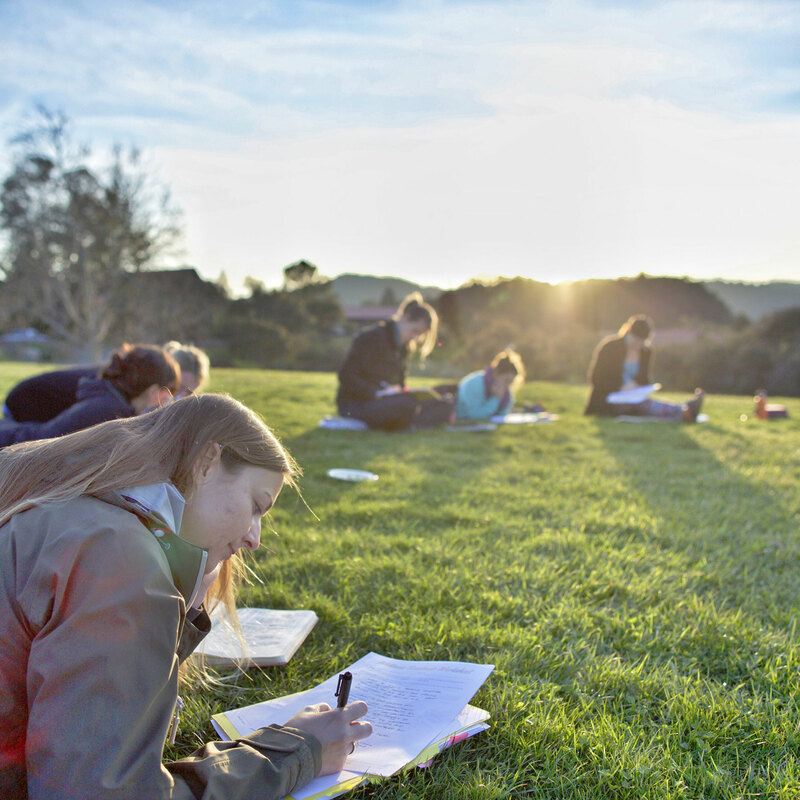 How did you come up with the idea to start Luminary Retreats? When my friend and Luminary co-founder, Cara, and I started our work together, we had both been thinking about this idea separately. We wanted to create a resource for women to create wellbeing in all of the interrelated areas of their lives, reconnect with their deeper selves, and make the shifts they longed to make. What we're doing now is the culmination of many seemingly different skillsets and eras of our lives. When I was guiding white water trips at 20, I could’ve never imagined that this is where I was headed. But, it's amazing to see how life evolves. If you stay open, curious, and willing, these interesting offerings spring up, almost spontaneously. These things that only you can offer, in the way that you're offering them, because of your unique life experiences and strengths. We actually just shared the whole story of how we got started on our blog for the first time. If you want to hear more details. How does your program differ from others? The Be Luminary Retreat is a lovely pause button and reset on life, like many well-crafted retreats. And it’s also a true education. 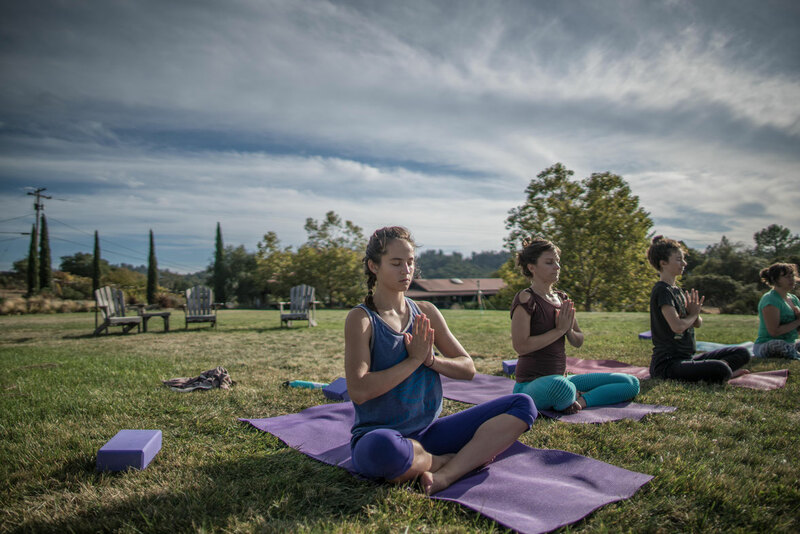 We know of no other retreats combining the expertise of both a physical and mental healthcare provider with the transformative power of a group retreat experience. All of our Retreats and Courses are led by Cara, who is a Licensed Professional Counselor, and myself, a PA and Functional Medicine Practitioner. We’re also seasoned educators. We’ve dedicated our professional lives, and lots of our free time, to researching, teaching and helping women implement the key ingredients needed to experience vibrant well-being, deep connection, and the ability to make their own unique contribution to the world. We also teach a very personalized approach to health and wellness. Because there is no one-size-fits-all plan for health and wellbeing. Our retreat curriculum emphasizes how to personalize wellness information to support your unique needs, beliefs, and genetic makeup. With that in mind, each participant goes home with a Personalized Wellness Plan created with love by the two of us. This is also very uncommon in the retreat space. How do you accomplish this at your retreats? It’s a combination of creating an incredibly supportive container for our groups, teaching powerful tools for well-being, and doing it all through beautifully crafted experiences. Humans learn best through experience. So we make everything we do as experiential and interactive as possible. We’ve also created what we call the Luminary Toolkit. We called on all our education, decades of experience, and top notch resources to bring together the most impactful tools out there for rocking our health, relationships, work, and life. These are the tools we use over and over again in our private practices. They’re evidence based and clinically validated. And incredibly transformative. They help women integrate the benefits of the retreat back into their daily lives. So the benefits extend far, far beyond our week together. These are tools that benefit us for the rest of our lives. It’s also very important to us that every single person involved in our retreats feels held and supported through the growth and discovery process. And we go to great lengths to make that happen. We often get questions about whether we dive into all the most difficult experiences in our lives on the retreat. While it’s definitely within our values to help women learn to experience discomfort skillfully, because it’s crucial to living our most vibrant lives, we don’t expect anyone to jump into the deep end. The deep end is not actually where the most effective learning takes place. We encourage our retreat participants to dip their toes into things that may bring up discomfort in a profoundly supportive environment, so they can slowly grow in this way. 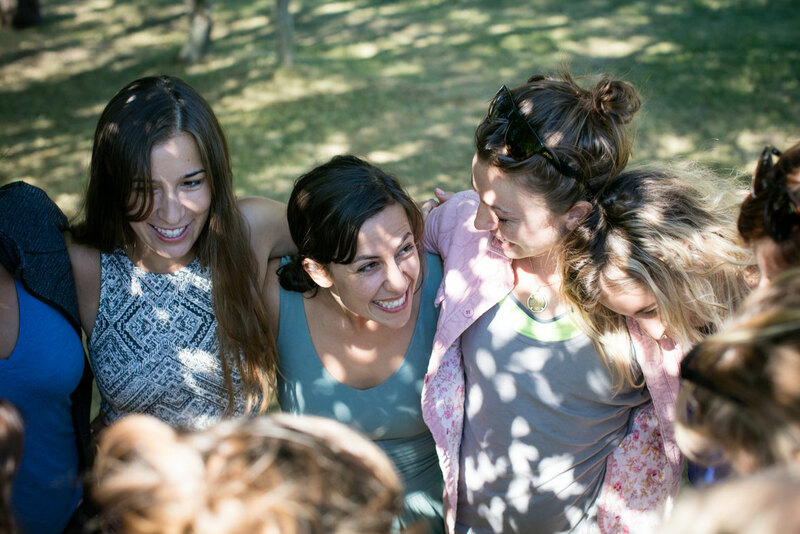 Because our goal is that we all learn and grow during these retreat experience, while also feeling connected and held. It’s so much more lighthearted and joyful than what I think most people envision when they imagine personal development. In part because Cara and I love the lighter things in life. And in part because we know play, dance, laughter, and creativity are crucial for healing and happiness. So those things are front and center in our offerings too. We’re really excited to be offering the Be Luminary Retreat again in February 2018! It’s such a special experience for us to facilitate every time. You’ve said, "One of the most important things is just showing up." Why do you think it's so hard to get people to show up to those reflective spaces, in their own life? Or, at something like a retreat? I think there are many reasons. For one it's way easier to keep doing what we're doing. There's a momentum to life. Sometimes it can feel like a freight train. It’s just moving. You have to stop the momentum, which requires significant effort, and decide, "I'm going to take a pause, stop the train, and reconnect with myself." To look at what's going well, but also, at what's not going well. Or to acknowledge, "This thing that I'm doing is really blocking me from what I truly want. Or, blocking me from having the meaningful life that I crave." To live more intentionally. Rather than defaulting to mindlessness. Also, I think it's culturally not necessarily encouraged. 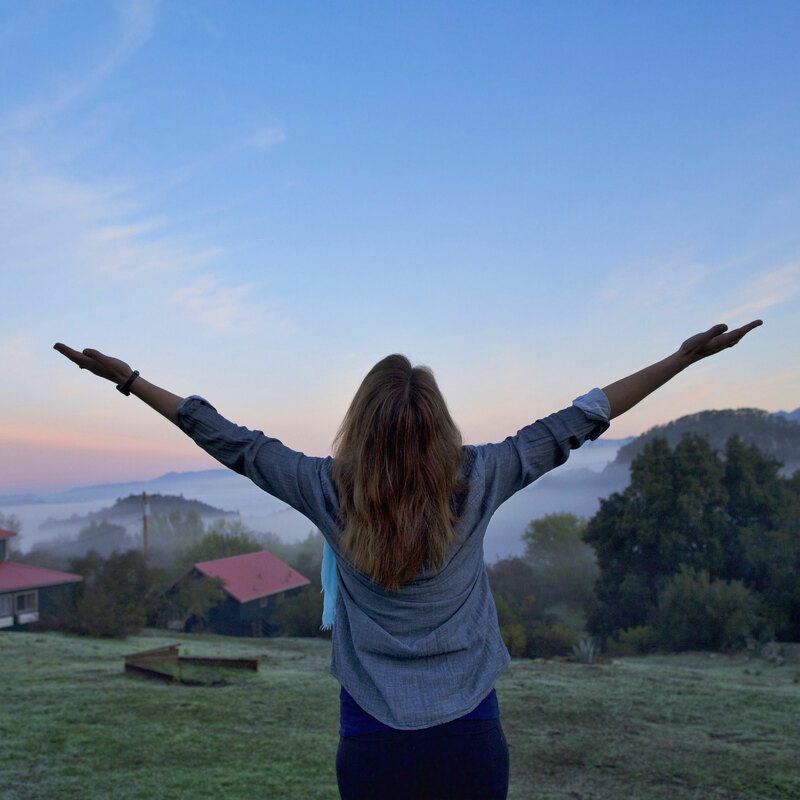 Whether it's going to see a therapist, or going to a personal development and wellness retreat, like the one we host at Luminary, or just taking some time to pause and replenish ourselves. We place so much value on productivity, we’ve forgotten how critical these seemingly “unproductive” activities are for the human spirit–and our well-being in general. Our social norms are pretty dang unhealthy at the moment and they’re simply not sustainable. So it requires being a revolutionary to take really good care of ourselves. It takes courage and a willingness to be uncomfortable at times. It’s uncomfortable, until it's not, anymore. Yeah, I think that discomfort has gotten a really bad rap in our culture. I think it’s very valuable to reframe our relationship with discomfort. A perspective I find helpful is that just because something feels uncomfortable or even painful doesn't necessarily mean it’s bad for us. Discomfort is the doorway to so many of the most valuable experiences and opportunities in our lives. We miss a lot of the good stuff when we avoid it. So we need to find a new barometer for whether something is workable or worthwhile in our lives. In our teachings, that barometer is our values. We spend quite a bit of time getting clear on and connecting with our personal values– the compass or guiding force for inspired living. These are the qualities or ways of being that make life meaningful. They are the foundational things that define a “good life” for each of us. For example, a few of my core values are compassion, courage and creative living. So I use these values as a compass to help me make decisions in my life that bring me more vitality and meaning. It might actually feel, well, not awesome in moments to live in this way. I might feel really scared at times when I’m acting with courage. I might experience anxious moments living creatively. But it’s worthwhile for me to experience those moments of discomfort because acting in line with my values brings richness, vibrancy, and purpose to my life. I'm aligning myself with something so much bigger than simply, "Does it feel good or bad?" It's the most basic part of our brain that tells us - feels good= is good; feels bad = is bad. But when we start bringing our prefrontal cortex, that big, beautiful, very evolved part of our brain online, we have so much more nuance available to us in how we live our lives. There's infinite space for meaning and curiosity and the capacity to live creatively. I love that you say creative living. Sounds like you and I share that value. Even thinking about that phrase lights me up. For me, creative living is spiritual. And, everything we do at Luminary is spiritual, but not in the way I think most people would define spirituality. Our definition is very broad. It refers to what is meaningful and purposeful to a person, and ties them to a sense of being a part of something bigger. A bigger connection. That could be spending time in nature, or that could be doing certain work in the world. Or, that could be belief in a God or Gods. But for us, it's whatever is meaningful and purposeful to each of us. What do you say to people who haven't necessarily taken the time to establish what their values actually are? It’s so refreshing and empowering to clarify your personal values. Not what society or our families or anyone else has told us should matter. But what actually feels deeply valuable and meaningful to us personally. There are great activities and tools that we use to help people connect with their values. Cara is especially skilled in guiding people in this way–that’s one of her incredible strengths. I've learned so much from her on this topic, and many others. Our approach is really to foster curiosity and an honoring of our own inner knowing. When you say “people who haven't really spent the time to get clear on their values”, I think that's a big group of people. So if you feel like this applies to you, know you’re in great company. Most of us just weren’t taught that there's a way to connect with our own inner compass and that it can be a powerful guide for our lives. We're often taught to attune with the outer world first, rather than attuning with our inner world first and engaging with the external world from that grounded place. So we’re programmed to automatically think "What values should I have? Who might be able to tell me the right values to have?" Rather than looking inward and listening to our own wisdom. Your values will be different than the values of those around you. There's no right, or wrong. It’s a personal process and work we can only do for ourselves. Though it certainly helps to have solid guidance on how to go about it. I think this is part of the dissatisfaction that's very much endemic in our culture right now–being unclear on what truly matters to us. Many of us haven't been provided the opportunity to explore that. Rather, we're inheriting these values from our families, pop culture, and religious institutions. I appreciate all of those things, and I think the values they share with us are fascinating to explore. But these inherited values won’t necessarily lead us to a satisfying life. We have to also invest in learning what our individual values are to feel truly content and purposeful in our lives. Some people do this intuitively. I find that it's really common amongst people who are deeply satisfied in their lives–not happy all the time, but deeply satisfied. They understand what, at their core, really matters to them, and they act regularly in that direction. They have ups and downs like the rest of us. But there is an underlying contentment and deep purpose there. If you don't know how to filter the big questions or opportunities in your life, decisions can be very exhausting. Absolutely. I think that's why so many people show up at our retreats. They are lacking clarity in one or more areas of their lives. They show up and say, "I'm tired of feeling foggy, like I'm in a cloud. I don't know which way to go or why. And I can’t figure out why I feel discontented when there is so much good in my life." The thing is, if you're not getting to express your values, because you're not clear on what they are, of course it's going to be hard to make decisions. And, of course, you're going to feel an underlying dissatisfaction. Of course it's going to feel like something's missing, even though, objectively you have so much goodness in your life. The beauty of values is that they're not concrete objectives off in the distance. They're available to us in the present. So, if my value is compassion, at any moment, regardless of what is happening in my life, I can always make a choice to act compassionately–towards myself or others. If we're only focused on goals in our life, we will constantly be left wanting. We're not going to be able to meet every goal we have. Hard things happen, we experience grief and loss, miscarriages, breakups, things not working out as we had planned, financial struggles, and as Mary Oliver says “the sweet hug of time.” If we are going to feel content amidst the normal hardships and difficulties of being human, it helps to have something more than goals driving us. Because as we all know things don’t always work out as planned. Values allow people to say, for example, "Okay, so my goal was to be a parent, but maybe the way the cards fell that’s no longer possible. I will experience grief and loss around that, no doubt. And yet I can also still express that value of caring and mothering in many ways. I can join Big Brothers and Big Sisters, and be a mentor. I can spend quality time building close relationships with my nieces and nephews. I can honor and express my most heartfelt values, even amidst the loss of that dream, even though I never was able to meet that goal.” There's so much possibility in that. The question I am constantly asking is how do we make life meaningful and worthwhile even when something doesn't work out the way we planned? Because I don't think any of us get out without some tough losses. But so many people are still joyful, engaged, and thriving anyways. There's gotta be something more than achieving goals and milestones guiding us if we want to keep thriving despite adversity. Helping women honor their inner-compass is at the heart of what Luminary does. And it feels deeply meaningful for us to be a part of that work. Are values fixed, lifelong goals? Values are different than goals, which are achievable and concrete. Values are more like a northstar. You can continue to move in that direction, but you're never going to arrive at connection, or compassion, or courage. You can, however, make choices moment by moment that keep you heading in that valued direction. They are also ever-evolving. Your core values will likely change over time. And the priority a value has for you will also change across time and situations. When I was a little bit younger, my value of creative living and courage was top of the list. That was what I was most exploring. And, now those values are still really important to me, but connection and compassion are really at the forefront of what makes life feel full and meaningful to me. And how I most want to show up in the world. It’s important to let it evolve, stay flexible and open. Life can be so surprising, you know? 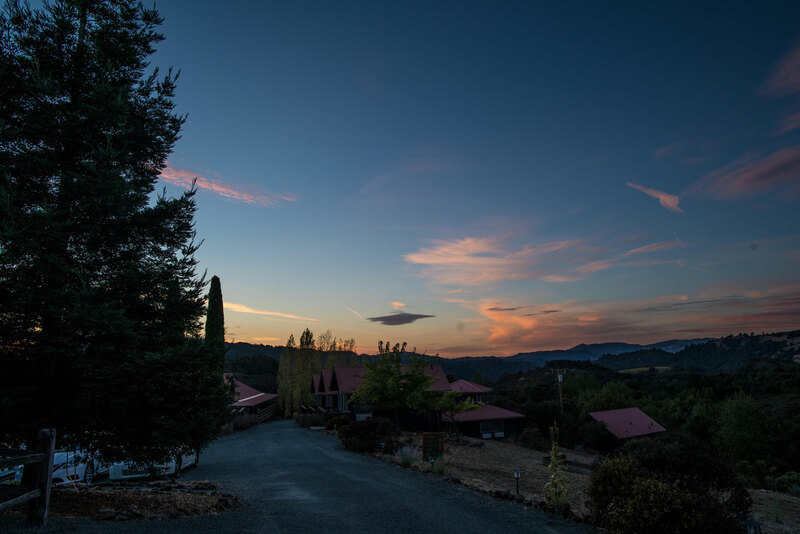 Images from previous Be Luminary Retreat in Calistoga, California. People often feel uncomfortable about mental health language. I think part of the issue is that there's no real positive language around it that feels comfortable to share. For example, how to tell your boss that you need to go to your therapist, during the middle of the workday. There's no common positive language around that currently. Other than to explain, "No, everything's okay, I'm just checking in, I'm just working on myself and staying positive." I couldn’t agree more. One of Cara and I's biggest wishes is that we are helping shift the vocabulary and the thinking around mental health from, "Something's wrong with me, and that's why I'm getting help." To, "getting mental health support is a sign of strength, and it's also what healthy people do." It's what people who want to live well do. Our hope is that more and more people will start seeing reaching out for help, and having a support team, as a sign of resilience and strength, which is what the research supports. Rather than seeing it as an indicator of problems and weakness. We’d love to see that stigma resolve, because it will create a healthier world to have more people supporting themselves mentally and emotionally. Is there a language that you two use in your retreats? New terms that you've tried to work with in order to change the associations? That's a great question. It's one we ask on a regular basis, because we're always throwing certain language out there, and noticing how people respond to it. We don't want to shy away from language that's uncomfortable, per se, but we also want to try and make that connection in a positive way. Some of the language that we've used includes the idea of mentors, self-care, support, and nourishment. The word “wellness” seems to have a positive vibe to it for most people. I use the term “success scaffolding,” as a way to talk about building our own care team, and how successful people are well supported people. They know how to support themselves. That's one of the fundamental reasons that some people succeed at doing the hard things, and others might not succeed. There are, of course, many, many nuances to that statement, but we know from research that the more we support ourselves, the more likely it is that we're going to succeed at the things that really matter to us. Sometimes in the world of self-improvement, we can start viewing ourselves or our lives as a problem that needs to be fixed. We like to frame it differently. We don’t see certain actions or habits are good, bad, wrong, or right. We prefer to ask the question"Is this action or habit getting you closer to what matters most to you, or is it moving you further away?" Where do you see people most needing to build personal skills? There’s so much to talk about here. And it’s personal too. Which skills we each need to shore up. But knowing how to connect with our bodies and our inner experience is a big one. It’s an important starting point. Often we don’t realize how much we are missing this kind of connection. There are so many opportunities for distraction in our modern lives. Many of us have difficult life experiences that can cause us to disconnect from our bodies and our internal experience. This can lead to forgetting how to be physically present in our bodies. Or being unwilling to be present in our bodies because it’s painful. And we lose the physical grounding, the roots, the foundation for living a present and inspired life. So much of what we want to create in our lives begins with learning to be present in our bodies again–to get grounded in our physical experiences. The changes we want to make, the health and wellness we want to create–usually ask us to become more embodied. More in our bodies. There's not just one way to create wellness. It isn’t a static thing. It's this fluid process of checking in with yourself and your body, and making choices based on the wisdom you gather. It’s a process of listening, honoring and attuning. Which are 3 of the foundational skills we practice at Luminary that really help the women we work with move toward well-being. Nutrition is an area that these skills are very helpful in. There is so much information about what’s healthy we often don’t know how to sort through it. For example, we know that in general eating lots of colorful fruits and veggies, and high quality fats and proteins, tends to keep humans healthy. But what if every time I’ve eaten tomatoes in the last 3 months I’ve felt terrible? I don't know why, but I feel terrible each time–I get a headache, I feel nauseous, I start sneezing. But conventional wisdom says tomatoes are healthy and nutrient dense and I should eat them. So my body is saying one thing and conventional wisdom is saying something else. So what’s the most healthful choice for me in this situation?? If I only listen to one-sized-fits-all nutritional principles, I’ll be missing the mark frequently for my unique body and it’s ever changing needs. So I recommend valuing that tangible experience in our own bodies, in our own lives just as much, if not more, than the external inputs. Wisdom from high quality sources is a great foundation for creating wellness in our lives. But it’s crucial to also run it by the wisdom of our own bodies if we want to feel truly well. So maybe I’ll try chilling out on the tomatoes for a bit then try them again in a month or two. And see what my body asks for then. With the goal of continually listening, honoring, and attuning to my bodies needs. It takes courage to be willing to do that, as well. I'm thinking about the tomato example, and someone who's preparing food for their family all the time. Spaghetti may be the easiest thing to make, and all the kids eat it, and it's convenient. But, trying to figure out a way to take care of everyone’s needs and figure out how to feed the one who's feeding the others takes courage. I love that phrase, feeding the one who's feeding the others. It reminds me of a phrase I use often, “you can't pour from an empty cup.” We're taught to give, give, give, give. And that it's almost embarrassing, or shameful to value our needs as much as everybody else. Exactly, it's almost some sense of being self-effacing as a value, but it's awful. You end up destroying the life force that you need to actually do what you're trying to do. Oh my gosh, yes. It's such a huge thing to transition from that framework of self sacrifice. It's not selfish to make sure your needs are met, so you can show up as your best self for all of the people that matter most to you. It's a creative process, and not everybody's needs can always be met at the same time. But, with creativity, over time, we can make sure that everybody's needs are met. That has to include ourselves. If it doesn't, we certainly won't feel whole and fulfilled. And we won’t maintain our health, because it requires care and investing in ourselves to stay well. And it’s so easy to forget that. You wouldn't drive your car for 130,000 miles without any oil changes and expect it to keep working well. Yet we expect that of our bodies. What are some of the resources or media that have had an impact on you? One of the things that has been most profound for me is the therapeutic model in psychology called, Acceptance and Commitment Therapy or ACT, which is the foundation for the values-based curriculum we teach at Luminary. There are a number of people who’ve written great books on this topic. Dr. Russ Harris wrote a really powerful book called The Happiness Trap. It helps us bust the myth that we're always supposed to feel good or happy and replace it with something more workable. The ACT model has been incredibly impactful in my own life. My own my therapist, in addition to my other mentors, has been the most helpful. She's a total badass in helping me grow into the person I most want to be. That gift of one-on-one support that I give myself has been profoundly transformative. It gives me the support I need to keep living aligned and bravely even when I’m terrified or experiencing something difficult. As far as media, I could listen to podcasts and Ted Talks all day. I'm a podcast junkie. I just adore learning and hearing stories! As far as physical health, there are two people who offer great Functional Medicine podcasts (the type of integrative medicine I am trained in). Their names are Chris Kresser and Aviva Romm. I really love tuning into their podcasts and their blogs. They have great stuff on very specific health topics. It's pretty science-y and geeky, and I loooove geeking out on science and wellness. Another resource that has been really impactful for me is the work of Brené Brown. Her work is all about shame-resiliency and how we respond to adversity. She's such a timely teacher right now. I think these topics are two of our greatest challenges, culturally. She's very much about doing her own work too. Which I really respect. She's hacked into these bigger evolutions that we're going through as a culture through research and her own personal growth. Her work is profound and yet relatable. And, she's such a great storyteller. I also love Krista Tippett. Her podcast is On-being and she wrote a book called, "Becoming Wise." To use our own word, it's a very ‘luminous’ book. I think it's because it provides a bigger context for the questions we're all asking at this moment in time. It's so inked out, my copy of it. I have so many folded pages and writing filling the margins–the sign of an amazing book to me. I couldn’t help but mark it up everywhere with thoughts and my own aha moments. The way she thinks about and uses language has really shifted my own perspective. I think that's one of the things I love about her. She helps me evolve my own vocabulary for the complexities of being human. And helps me find new language around the things we’re all experiencing right now. Language that feels more workable, helpful, and authentic. Because words are powerful, and I'm so much less concerned with whether things are true with a capital T, or not, these days and way more concerned with whether they're workable and helpful. Sounds like you too have had a lot of teachers, even though you are one. I’m a student first. I love learning. And my students and patients are as much my teachers, as I am theirs. It’s so important to me to be authentic and human in any teaching I do. To model that we can both be in process ourselves and facilitating the process for others at the same time. We can be our messy human selves and also have very valuable things to share and teach. Not inspite of that, but perhaps because of it. I believe when we can be vulnerable and let our flaws shine through, it makes us better teachers. It can be so challenging to do this in practice. To balance vulnerability with leadership and competency. But leading from that honest, authentic place is how we move the collective forward. This is one of the huge things that's often missing from medicine and health–a sense that we're all trying to figure it out, together. It’s a collaboration. And there is room for all of us to be both a source of wisdom and a student of it. Some of my most troubled patients, who were in the midst of very difficult life experiences, have been some of my greatest teachers. There really is no sense of how things should be done. And the only difference between those that end up having successes and those that don't is just that the successful people try despite doubt. They don't even know if they're going to succeed. But they keep trying. It's helpful to remind ourselves that everybody has doubts. I remember feeling really nervous when I launched my private practice earlier this year. The people around me had full confidence in me. But I still regularly have thoughts like, "Oh, my God, can I really do this?” In fact the more courageously I live, the more those thoughts come up. That's why I love when people in leadership roles are open about their inner experiences. That kind of openness and vulnerability helps me remember I’m not alone in my doubts and struggles. Those things are a part of the human experience. And they don’t have to stop us from having amazing lives. Brené Brown is exceptionally skilled at this kind of vulnerability and courage as a leader, and really inspires me in this way. I think it leads to a lot of compassion when we can start to share in our humanity with others. There's an exhale that we can all have. I can just be who I am. Ahhhh… I don’t have to have it all together or all figured out. I can fumble through it and still be a powerful force for good in the world. Seeking out others who are also doing their best to live an artful, meaningful, healthful life can make the journey a little gentler. It helps us keep up our courage and let the journey open us, rather than close us. If we can keep opening to our experiences, even the uncomfortable ones, we stay in the flow of life. I think that's, at the end of the day, what most people want–to really, fully, experience their life in a way that's meaningful to them. Can you tell me about your upbringing? Were your parents very mental- health focused? I had a very loving, beautiful upbringing–and there were also some real and painful hardships. I mostly grew up in a rural part of Idaho with a lot of space to roam and explore. I spent a lot of time outside. My family really encouraged me to follow my interests and create a life I love. But they weren’t mental health focused or minded. There were a lot of struggles going on that we didn’t talk about. I don’t think we knew how to talk about them at the time. The part of my background that I don’t often share is that my dad began developing increasingly debilitating mental illness when I was a teen. He experienced terrible abuse as a child, and he didn’t feel the biggest impacts of that until he was a bit older. So, it was a very big shift, for me, and for our family. And then, my mom consequently, dealing with the immense stress of that, became very physically ill. The stressors of navigating through that kind of difficulty and loss in our family, of having one of our family members grappling with PTSD and self medicating with substances, and having very little support or understanding as to how to respond, was overwhelming. My mom had a series of confusing health problems pop up and was in and out of the ER and an array of doctors offices for a time. I remember that just getting through each day was physically difficult for her. I’m so grateful she’s well and thriving now. But it was very much survival mode for both of them, and for our family, during those years. I even developed migraines and worsening allergies. I was in my early to mid 20's during the most challenging of those years. And I remember feeling a lot of loneliness, grief, and disorientation at that time. Experiencing physical and mental health crises in my family at a young age, without much internal and external support in place, was a powerful, albeit painful, lesson for me. I feel on a visceral level how valuable it is to support ourselves before we’re struggling. Rather than waiting until the wheels start falling off. I have a web of support now that includes loved ones and various kinds of healing professionals, who are there for me through lifes ups and downs. I’ve built up a toolkit of resources internally that I can turn to in those tough human moments. It’s such a beautiful gift to give ourselves–to feel radically supported in our lives. I want everyone to feel held like that. That’s a really intimate experience with both mental and spiritual health at a young age. I would imagine that had a really profound effect on you. It’s a huge part of how my path led me into a healing profession. And that story is a part of my calling to not just help people care for their physical selves, but also their mental, emotional, relational, occupational, and spiritual selves. Because none of those things are separate. They’re so intimately connected. Our greatest difficulties and losses can also be our greatest source of strength and wisdom. If we lean into and own those stories, rather than push them away, they can make us more, rather than less whole. I really believe that's been true in my life. As I’ve leaned into those challenging years and experiences, I think one of the greatest lessons I’ve learned is the importance of building up resilience in our bodies, our minds, our relationships, and our lives. So that when those major life challenges appear, we still have some wellness reserves to get us through it. That doesn’t mean it won’t be painful, but it helps us move through difficulty in a way that increases our vitality, rather than diminishes it. It helps us move through difficulty in a way we’re proud of. And, that requires many different kinds of supports in our lives. I feel lucky I made a choice to start asking for help, and reaching out to teachers who could help me move through the immense pain around my own difficult experiences. The loss, the grief, the anger, the confusion. It really was in large part luck. My life could have gone so many directions. I had just enough courage to start asking for help. Then, the mentors just showed up. I’ve had really, really lovely people help me grow and hold space for me during the processing and inner excavation that growth requires. I think a lot of my current desire to be in integrated medicine and to facilitate Be Luminary Retreats, is knowing how much joy, how much sweetness, and how many beautiful experiences are on the other side of the stuff that makes us uncomfortable. If we can just learn how to lean into it. Little by little. And keep showing up. Moment to moment. So we can heal. That's very well put. What would you say to people who were at that place? What are the first steps toward finding support? First, just find a way to take the leap and reach out. Then keep reaching out. There's been a lot of research done on resilience. One of the key characteristics of people who are more resilient (people who tend to bend rather than break in the storms of life, people who bounce back after difficulty, who experience adversity and still keep thriving), is that they reach out for support. And, they don't just reach out once, they keep reaching out for support until they get what they need. Second, keep cultivating hope. For anything being different, we have to first hope that it can even be different. It’s crucial. It's very vulnerable to hope that something could change or somehow be better than it is right now. But when practiced hope becomes spiritual muscle memory, and we get better and better at it. At letting ourselves hope, even when it's hard or the path is unclear. It's like, every time you put a little hope out there you're building that muscle. That muscle of hope, which is foundational to creating a world that we all want to live in. To creating lives that we want to live. It's just hoping that something can even be different. Just risk it. It's the first step, truly, hope is the first step. It seems like a key focus of your work is learning more about our inner lives while also being kind to ourselves in the process. Yes, it definitely is. I love the quote by Maya Angelou, “Do the best you can until you know better. Then when you know better, do better.” I love that little phrase because we're all doing the best we can, and it’s important to give ourselves credit and kindness. And if we stay curious and keep reaching out, eventually we'll know better, we’ll have more insight. Then we can do even better.